Do you want to add a beautiful image gallery on your WordPress website? If you are then, you are in the right place. Here, in this article, we will provide a short step by step tutorial of how to add image gallery on WordPress website using a free WordPress gallery plugin – Everest Gallery Lite. But before we start the tutorial – a few things about how galleries can boost the engagement rate and conversion rate of your WordPress website. Adding image galleries can be beneficial in many ways. If you look it from the surface, these types of galleries will make your website visually appealing to your audience with cool images. However, if you look in depth, these images will provide a sneak peek (a short demo) of your work to let your audience know what type of work they can expect from you. By doing so, you can significantly increase the credibility of your work and can convert your audience into leads. Download Everest Gallery Lite for free from WordPress.org repository. 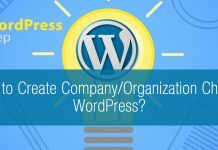 Then, install it on your WordPress website. 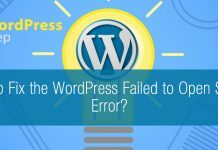 If you feel any difficulties while installing the plugin, check out its documentation or go through the article: How to install a new plugin in WordPress website? After the plugin is successfully installed, activate it. 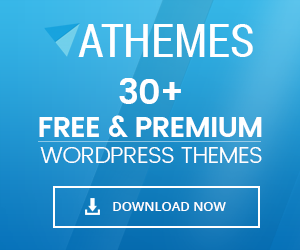 Then, you will see “Everest Gallery Lite” on the left menu of your WordPress dashboard. Click on it to continue. You will land to the “All Galleries” page. It contains the list of all the galleries you have created till date. To add a new gallery, click on “Add New Gallery”. A popup will appear where you need to give the title and alias for your new gallery. While filling the alias the shortcode for your gallery will be automatically generated as per the alias name. Like for example: if you have wrote the alias name “Image Gallery” then the shortcode will be [everest_gallery alias=”Image Gallery”]. Here, you can edit the title and alias of your gallery. Note: The shortcode will also be changed if you edit the alias. Here, you can add the items (images) for your gallery. Add as many images as per your requirement on your gallery. Note: If you want to add different items on your gallery such as images, audio, video, Instagram feed, posts or mixed gallery then, you can upgrade this plugin into its premium version: Everest Gallery. Here, you can select the image source type, and layout type of your gallery. The layout type includes Masonry Layout and Grid Layout with each of them consisting of 2 different templates. Also, configure the column for desktop, tablets/Ipad and mobiles. Here, you can select the hover type animation for your gallery. Also, you can enable/disable the lightbox button, link button, title and caption upon hovering over the images in the gallery. Moreover, you can also choose any of the 5 overlay effect layout for your gallery. Here, you can choose the theme for your lightbox. Also, enable/disable the social media tool for allowing your users to share your gallery images on Twitter and Facebook. After you have done the editing, save it. Then, copy the shortcode and paste it anywhere on your WordPress website to display your image gallery. 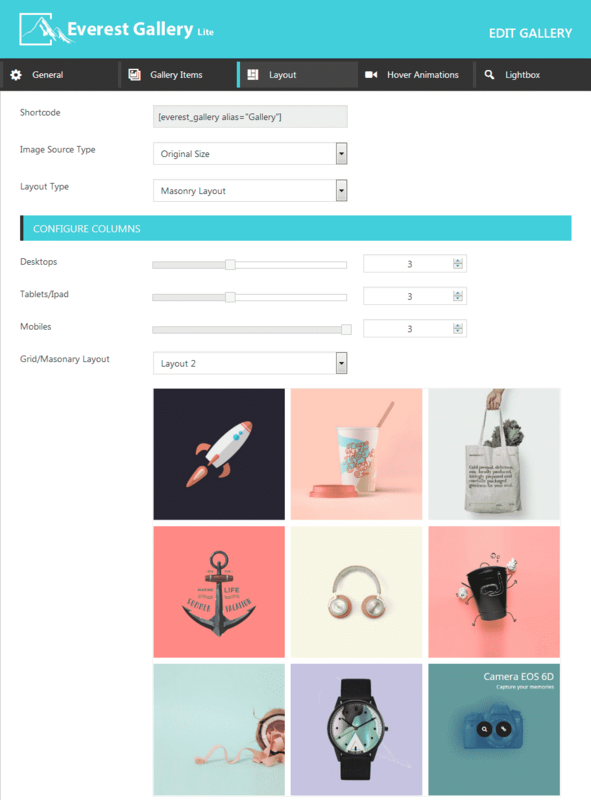 For additional layouts and templates, you can upgrade this plugin into its premium version – Everest Gallery. 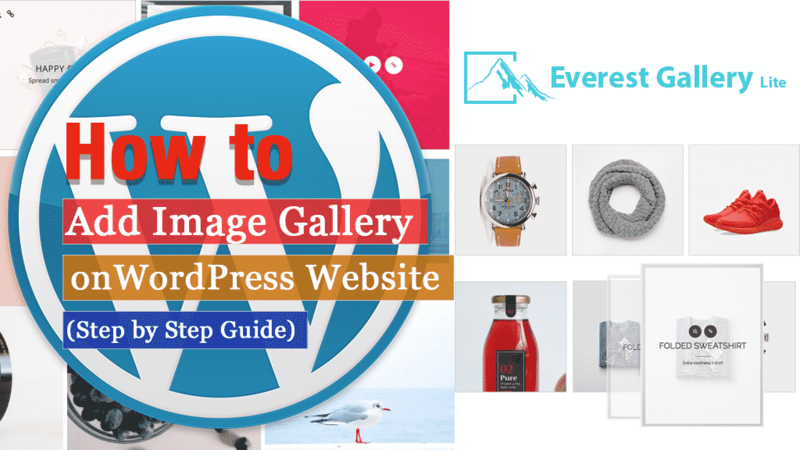 In this way, you can add image gallery on WordPress website in a few minutes. A gallery filled with beautiful images can be beneficial in many ways. 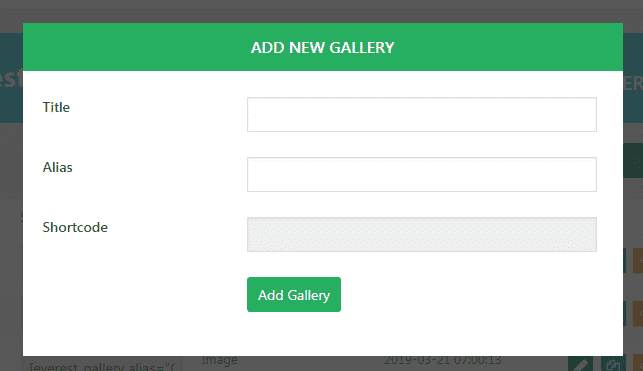 So, if you want to add galleries on your WordPress website then, you can purchase the above-mentioned plugin and follow the step by step tutorial. Next articleHow to Embed a Facebook Video in Your WordPress Site? Hey Buddy!, I found this information for you: "How to Add Image Gallery on WordPress Website? (Step by Step Guide)". Here is the website link: https://wpallclub.com/add-image-gallery-on-wordpress/. Thank you.